Well, maybe you scored a little extra cash this season between shopping sales and racking up some extra dough on Hannukah and Christmas. 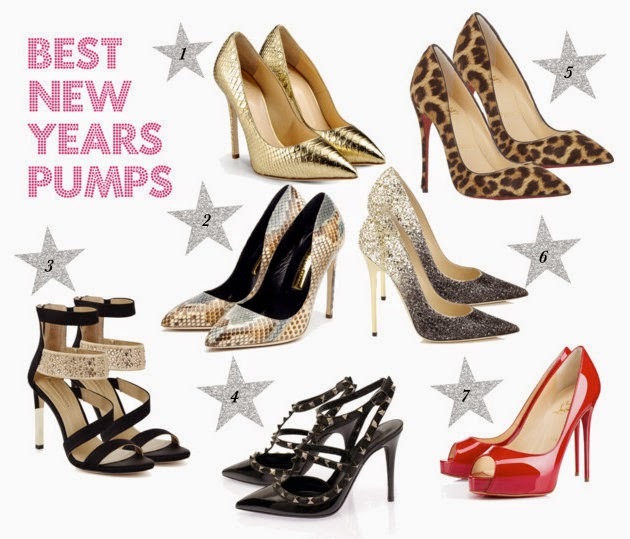 If so...these shoes are all so splurgeworthy they made it to my NewYears pumps guide. All of these choices can jazz up a look in no time so, grab an LBD pick your splurgeworthy choice (you can shop the looks straight from here!) and look like a showstopper this New Years eve! An extra added plus, these shoes aren't a one time deal! With many ways to mix an match them they truly are splurgeworthy! Hurry up...New Years is almost here...Happy Shopping! !